What are the odds Ben Roethlisberger retires, Le’Veon Bell re-signs and Andrew McCutchen gets traded? Jan. 05, 2018, 5:20 a.m.
As you may have noted from recent glasses fashion at parties and bars around the city, 2018 is here. But Pittsburgh sports is still very much in 2017. The Steelers are competing to win the championship of the 2017 season. The Penguins are still basking in the glow of both 2016 and 2017 (or are in a 2017 hangover, if you prefer). And the Pirates, well … their biggest acquisition for 2018 is a 28-year old relief pitcher called Nik Turley who has a 11.21 career ERA. So they’re obviously not thinking much about 2018 or the future in general. Yet 2018 is here, whether we like it or not. Let’s take a look into the future. Here are a few of the big stories that may occur in Pittsburgh sports in the new year. The Steelers starting quarterback since Week 2 of the 2004 season said he pondered retirement after the 2016 season. He’ll undoubtedly think about it again after this season ends, ideally in victory a month from now. After this weekend, the Steelers will be one of just eight teams left with a shot at winning the Super Bowl. And they’re among the favorites in that group, thanks in no small part to Substantial Benjamin playing great football over the last two months. Roethlisberger is playing well enough to win his third Super Bowl, which would be an ideal way to end his career. And he’s also playing well enough that failing to win it all this year could be crushing, making it harder to decide to put it all on the line again next year at age 36. The Penguins undergo a major rebuild. I have bad news. The Penguins probably aren’t going to win the Stanley Cup this year. It’s not because they’ll miss the playoffs. Yes, they’re out of the playoff picture right now, but they’ll probably still get in. It’s not because Sidney Crosby and Evgeni Malkin are bad now. They’re absolutely not. It’s not because Mike Sullivan has lost his touch or Matt Murray was a flash-in-the-pan netminder. It’s just that the odds of winning three in a row are so incredibly slim. For all the skill and toughness required to win a Stanley Cup, there’s also a ton of luck: Injuries, puck bounces, calls for and against. While still full of potential, this Penguins team is older and worse than the last two and will need a lot of good fortune to win a third consecutive Cup. It probably won’t happen. What will happen is a significant roster overhaul, especially if this team peters out of the playoffs early or misses them completely. Sidney Crosby will only be 31 next year. Evgeni Malkin, 32. Phil Kessel, 31. There will still be a window to win with them, and the Penguins will look to capitalize on it. Maybe that means trading Kris Letang in the offseason. (SHAMELESS PLUG ALERT: Jason Mackey of the Post-Gazette said on my podcast this week that a Letang trade is definitely not happening this season.) Maybe Murray or Tristan Jarry could be dealt. But it most definitely means some or all of Patric Hornqvist, Ian Cole, Carl Hagelin, Olli Maatta Bryan Rust and Conor Sheary will be gone and replaced by new faces from new places. If there’s not another championship parade downtown this June, there will be a parade of players out of town. Andrew McCutchen, Gerrit Cole, Josh Harrison and pretty much every other Pirate you’ve heard of play their last game with the Pirates. While the Penguins may be facing a decision to rebuild in the coming months, the Pirates are facing such a quandary already. But, you know, without all the championships leading up to the rebuild. Subtle difference, yes. Andrew McCutchen is a free agent after the 2018 season, and there’s already rumors of teams trying to trade for him this offseason. Gerrit Cole is a free agent after 2019, and Josh Harrison is one after 2020. But there is zero reason to believe the Pirates will be positioned to contend again in any of those seasons, so why not deal them for what they can fetch now? Same with Francisco Cervelli, Ivan Nova, David Freese, Jordy Mercer, Jalapeño Hannah … whoever. We may be about to enter an era again when the only jersey it feels safe to wear to PNC Park is Roberto Clemente’s. Pitt got better as the season progressed, beat No. 2 Miami in their final game and discovered what appears to be an actual quarterback in Kenny Pickett. Penn State will enter 2018 down their offensive coordinator, one of their best players ever in Saquon Barkley and their top two pass catchers in DaeSean Hamilton and Mike Gesicki. Getting a Nittany Lions team still adjusting to all that turnover on Sept. 8 at home will give Pitt a great chance to pull off the win. Pitt basketball is, and will continue to be, a disaster in the 2017-18 season. John Wooden wouldn’t be able to win with what Jamie Dixon left in the program. Everyone knows the Panthers were going to lose this year (and that they will continue to do so for at least another year). 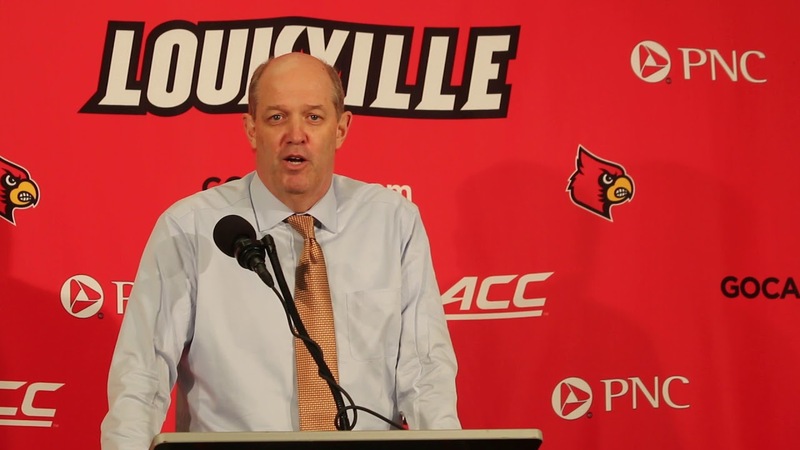 But it’s not the win-loss record that could do Kevin Stallings in. It’s the fact that he was not hired by the current athletic director and that he continues to do things that some could view as giving the university a bad look. Stallings hasn’t threatened to kill anyone. Yet. But if Heather Lyke wants to cobble together a case to move on from Stallings and hire her own guy, it won’t be too hard. Steelers sign Le’Veon Bell to a long-term contract. In the past I’ve argued the value of letting Bell play out his two franchise years through the 2018 season and then seeing what the market is for him then. But if Ben Roethlisberger retires after this season, locking up the best running back in the game to help whoever is the new QB will be the only right decision. So, in that case, forget everything I wrote before. And, to be honest, that’s a pretty good resolution to make in the new year about everything I write.